Christmas card, new year. 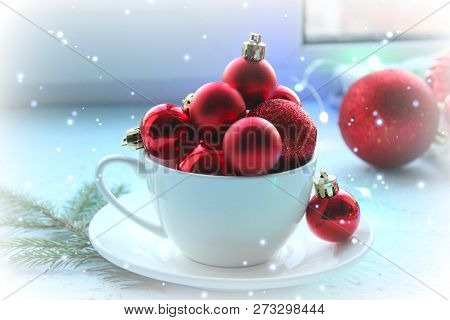 Red balls for the Christmas tree poured into a white Cup . 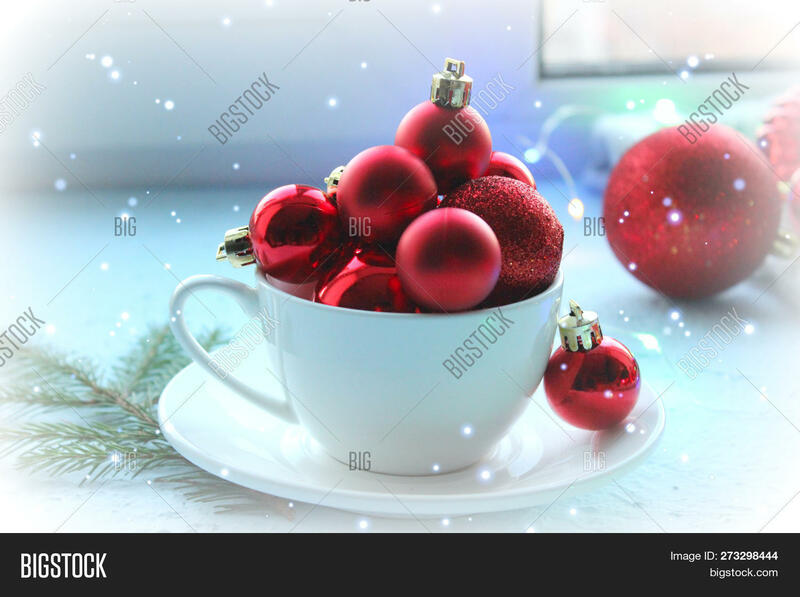 Mountain of red balls, Christmas background, new year.Festive decoration, a lot of balls in the Cup and on the table.